"My choice of Muhammad to lead the list of the world's most influential persons may surprise some readers and may be questioned by others, but he was the only man in history who was supremely successful on both the religious and secular levels." In the annals of men, individuals have not been lacking who conspicuously devoted their lives to the socio-religious reform of their connected peoples. We find them in every epoch and in all lands. In India, there lived those who transmitted to the world the Vedas, and there was also the great Gautama Buddha; China had its Confucius; the Avesta (of Zoarastor) was produced in Iran. Babylonia gave to the world one of the greatest reformers, the Prophet Abraham (not to speak of such of his ancestors as Enoch and Noah about whom we have very scanty information). The Jewish people may rightly be proud of a long series of reformers: Moses, Samuel, David, Solomon, and Jesus among others. (Be Peace Upon All). Two points to be note: Firstly these reformers claimed in general to be the bearers each of a Divine mission, and they left behind them sacred books incorporating codes of life for the guidance of their peoples. Secondly there followed fratricidal wars, and massacres and genocides became the order of the day, causing more or less a complete loss of these Divine messages. As to the books of Abraham, we know them only by the name; and as for the books of Moses, records tell us how they were repeatedly destroyed and only partly restored. If one should judge from the relics of the past already brought to light of the homo sapiens, one finds that man has always been conscious of the existence of a Supreme Being, the Master and Creator of all. Methods and approaches may have differed, but the people of every epoch have left proofs of their attempts to obey God. Communication with the Omnipresent yet invisible God has also been recognized as possible in connection with a small fraction of men with noble and exalted spirits. Whether this communication assumed the nature of an incarnation of the Divinity or simply resolved itself into a medium of reception of Divine messages (through inspiration or revelation), the purpose in each case was the guidance of the people. It was but natural that the interpretations and explanations of certain systems should have proved more vital and convincing than others. Every system of metaphysical thought develops its own terminology. In the course of time terms acquire a significance hardly contained in the word and translations fall short of their purpose. Yet there is no other method to make people of one group understand the thoughts of another. Non-Muslim readers in particular are requested to bear in mind this aspect which is a real yet unavoidable handicap. By the end of the 6th century, after the birth of Jesus Christ (Be Peace Upon Him= BPUH), men had already made great progress in diverse walks of life. At that time there were some religions which openly proclaimed that they were reserved for definite races and groups of men only, of course they bore no remedy for the ills of humanity at large. There were also a few which claimed universality, but declared that the salvation of man lay in the renunciation of the world. These were the religions for the elite, and catered for an extremely limited number of men. We need not speak of regions where there existed no religion at all, where atheism and materialism reigned supreme, where the thought was solely of occupying one self with one's own pleasures, without any regard or consideration for the rights of others. A perusal of the map of the major hemisphere (from the point of view of the proportion of land to sea), shows the Arabian Peninsula lying at the confluence of the three great continents of Asia, Africa and Europe. At the time in question. this extensive Arabian subcontinent composed mostly of desert areas was inhabited by people of settled habitations as well as nomads. Often it was found that members of the same tribe were divided into these two groups, and that they preserved a relationship although following different modes of life. The means of subsistence in Arabia were meager. The desert had its handicaps, and trade caravans were features of greater importance than either agriculture or industry. This entailed much travel, and men had to proceed beyond the peninsula to Syria, Egypt, Abyssinia, Iraq, Sind, India and other lands. We do not know much about the Libyanites of Central Arabia, but Yemen was rightly called Arabia Felix. Having once been the seat of the flourishing civilizations of Sheba and Ma'in even before the foundation of the city of Rome had been laid, and having later snatched from the Byzantians and Persians several provinces, greater Yemen which had passed through the hey-day of its existence, was however at this time broken up into innumerable principalities, and even occupied in part by foreign invaders. The Sassanides of Iran, who had penetrated into Yemen had already obtained possession of Eastern Arabia. There was politico-social chaos at the capital (Mada'in = Ctesiphon), and this found reflection in all her territories. Northern Arabia had succumbed to Byzantine influences, and was faced with its own particular problems. Only Central Arabia remained immune from the demoralizing effects of foreign occupation. In this limited area of Central Arabia, the existence of the triangle of Mecca-Ta'if-Madinah seemed something providential. Mecca, desertic, deprived of water and the amenities of agriculture in physical features represented Africa and the burning Sahara. Scarcely fifty miles from there, Ta'if presented a picture of Europe and its frost. Madinah in the North was not less fertile than even the most temperate of Asiatic countries like Syria. If climate has any influence on human character, this triangle standing in the middle of the major hemisphere was, more than any other region of the earth, a miniature reproduction of the entire world. And here was born a descendant of the Babylonian Abraham, and the Egyptian Hagar, Muhammad the Prophet of Islam, a Meccan by origin and yet with stock related, both to Madinah and Ta'if. From the point of view of religion, Arabia was idolatrous; only a few individuals had embraced religions like Christianity, Mazdaism, etc. The Meccans did possess the notion of the One God, but they believed also that idols had the power to intercede with Him. Curiously enough, they did not believe in the Resurrection and Afterlife. 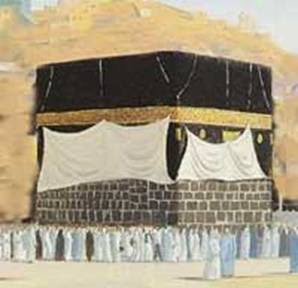 They had preserved the rite of the pilgrimage to the House of the One God, the Ka'bah, an institution set up under divine inspiration by their ancestor Abraham, yet the two thousand years that separated them from Abraham had caused to degenerate this pilgrimage into the spectacle of a commercial fair and an occasion of senseless idolatry which far from producing any good, only served to ruin their individual behavior, both social and spiritual. In spite of the comparative poverty in natural resources, Mecca was the most developed of the three points of the triangle. Of the three, Mecca alone had a city-state, governed by a council of ten hereditary chiefs who enjoyed a clear division of power. (There was a minister of foreign relations, a minister guardian of the temple, a minister of oracles, a minister guardian of offerings to the temple, one to determine the torts and the damages payable, another in charge of the municipal council or parliament to enforce the decisions of the ministries. There were also ministers in charge of military affairs like custodianship of the flag, leadership of the cavalry etc.). As well reputed caravan-leaders, the Meccans were able to obtain permission from neighbouring empires like Iran, Byzantium and Abyssinia - and to enter into agreements with the tribes that lined the routes traversed by the caravans - to visit their countries and transact import and export business. They also provided escorts to foreigners when they passed through their country as well as the territory of allied tribes, in Arabia (cf. Ibn Habib, Muhabbar). Although not interested much in the preservation of ideas and records in writing, they passionately cultivated arts and letters like poetry, oratory discourses and folk tales. Women were generally well treated, they enjoyed the privilege of possessing property in their own right, they gave their consent to marriage contracts, in which they could even add the condition of reserving their right to divorce their husbands. They could remarry when widowed or divorced. Burying girls alive did exist in certain classes, but that was rare. It was in the midst of such conditions and environments that Muhammad was born in 569 after Christ. His father, 'Abdullah had died some weeks earlier, and it was his grandfather who took him in charge. According to the prevailing custom, the child was entrusted to a Bedouin foster-mother, with whom he passed several years in the desert. All biographers state that the infant prophet sucked only one breast of his foster-mother, leaving the other for the sustenance of his foster-brother. When the child was brought back home, his mother, Aminah, took him to his maternal uncles at Madinah to visit the tomb of 'Abdullah. During the return journey, he lost his mother who died a sudden death. At Mecca, another bereavement awaited him, in the death of his affectionate grandfather. Subjected to such privations, he was at the age of eight, consigned at last to the care of his uncle, Abu-Talib, a man who was generous of nature but always short of resources and hardly able to provide for his family. Young Muhammad had therefore to start immediately to earn his livelihood; he served as a shepherd boy to some neighbors. At the age of ten he accompanied his uncle to Syria when he was leading a caravan there. No other travels of Abu-Talib are mentioned, but there are references to his having set up a shop in Mecca. (Ibn Qutaibah, Ma'arif). It is possible that Muhammad helped him in this enterprise also. By the time he was twenty-five, Muhammad had become well known in the city for the integrity of his disposition and the honesty of his character. A rich widow, Khadijah, took him in her employ and consigned to him her goods to be taken for sale to Syria. Delighted with the unusual profits she obtained as also by the personal charms of her agent, she offered him her hand. According to divergent reports, she was either 28 or 40 years of age at that time, (medical reasons prefer the age of 28 since she gave birth to five more children). The union proved happy. Later, we see him sometimes in the fair of Hubashah (Yemen), and at least once in the country of the 'Abd al-Qais (Bahrain-Oman), as mentioned by Ibn Hanbal. There is every reason to believe that this refers to the great fair of Daba (Oman), where, according to Ibn al-Kalbi (cf. Ibn Habib, Muhabbar), the traders of China, of Hind and Sind (India, Pakistan), of Persia, of the East and the West assembled every year, traveling both by land and sea. There is also mention of a commercial partner of Muhammad at Mecca. This person, Sa'ib by name reports: "We relayed each other; if Muhammad led the caravan, he did not enter his house on his return to Mecca without clearing accounts with me; and if I led the caravan, he would on my return enquire about my welfare and speak nothing about his own capital entrusted to me." Foreign traders often brought their goods to Mecca for sale. One day a certain Yemenite (of the tribe of Zubaid) improvised a satirical poem against some Meccans who bad refused to pay him the price of what he had sold, and others who had not supported his claim or had failed to come to his help when he was victimized. Zuhair, uncle and chief of the tribe of the Prophet, felt great remorse on hearing this just satire. He called for a meeting of certain chieftains in the city, and organized an order of chivalry, called Hilf al-fudul, with the aim and object of aiding the oppressed in Mecca, irrespective of their being dwellers of the city or aliens. Young Muhammad became an enthusiastic member of the organization. Later in life he used to say: "I have participated in it, and I am not prepared to give up that privilege even against a herd of camels; if somebody should appeal to me even today, by virtue of that pledge, I shall hurry to his help." Not much is known about the religious practices of Muhammad until he was thirty-five years old, except that he had never worshipped idols. This is substantiated by all his biographers. It may be stated that there were a few others in Mecca, who had likewise revolted against the senseless practice of paganism, although conserving their fidelity to the Ka'bah as the house dedicated to the One God by its builder Abraham. About the year 605 of the Christian era, the draperies on the outer wall of the Ka'bah took fire. The building was affected and could not bear the brunt of the torrential rains that followed. The reconstruction of the Ka'bah was thereupon undertaken. Each citizen contributed according to his means; and only the gifts of honest gains were accepted. Everybody participated in the work of construction, and Muhammad's shoulders were injured in the course of transporting stones. To identify the place whence the ritual of circumambulation began, there had been set a black stone in the wall of the Ka'bah, dating probably from the time of Abraham himself. There was rivalry among the citizens for obtaining the honor of transposing this stone in its place. When there was danger of blood being shed, somebody suggested leaving the matter to Providence, and accepting the arbitration of him who should happen to arrive there first. It chanced that Muhammad just then turned up there for work as usual. He was popularly known by the appellation of al-Amin (the honest), and everyone accepted his arbitration without hesitation. Muhammad placed a sheet of cloth on the ground, put the stone on it and asked the chiefs of all the tribes in the city to lift together the cloth. Then he himself placed the stone in its proper place, in one of the angles of the building, and everybody was satisfied. It is from this moment that we find Muhammad becoming more and more absorbed in spiritual meditations. Like his grandfather, he used to retire during the whole month of Ramadan to a cave in Jabal-an-Nur (mountain of light). The cave is called 'Ghar-i-Hira' or the cave of research. There he prayed, meditated, and shared his meager provisions with the travelers who happened to pass by. Then came a pause in revelation, extending over three years. The Prophet must have felt at first a shock, then a calm, an ardent desire, and after a period of waiting, a growing impatience or nostalgia. The news of the first vision had spread and at the pause the skeptics in the city had begun to mock at him and cut bitter jokes. They went so far as to say that God had forsaken him. During the three years of waiting. the Prophet had given himself up more and more to prayers and to spiritual practices. The revelations were then resumed and God assured him that He had not at all forsaken him: on the contrary it was He Who had guided him to the right path: therefore he should take care of the orphans and the destitute, and proclaim the bounty of God on him (cf. Q. 93:3-11). This was in reality an order to preach. Another revelation directed him to warn people against evil practices, to exhort them to worship none but the One God, and to abandon everything that would displease God (Q. 74:2-7). Yet another revelation commanded him to warn his own near relatives (Q. 26:214); and: "Proclaim openly that which thou art commanded, and withdraw from the Associators (idolaters). Lo! we defend thee from the scoffers" (15:94-5). According to Ibn Ishaq, the first revelation (n. 17) had come to the Prophet during his sleep, evidently to reduce the shock. Later revelations came in full wakefulness. The Prophet began by preaching his mission secretly first among his intimate friends, then among the members of his own tribe and thereafter publicly in the city and suburbs. He insisted on the belief in One Transcendent God, in Resurrection and the Last Judgment. He invited men to charity and beneficence. He took necessary steps to preserve through writing the revelations he was receiving, and ordered his adherents also to learn them by heart. This continued all through his life, since the Quran was not revealed all at once, but in fragments as occasions arose. The number of his adherents increased gradually, but with the denunciation of paganism, the opposition also grew intense on the part of those who were firmly attached to their ancestral beliefs. This opposition degenerated in the course of time into physical torture of the Prophet and of those who had embraced his religion. These were stretched on burning sands, cauterized with red hot iron and imprisoned with chains on their feet. Some of them died of the effects of torture, but none would renounce his religion. In despair, the Prophet Muhammad advised his companions to quit their native town and take refuge abroad, in Abyssinia, "where governs a just ruler, in whose realm nobody is oppressed" (Ibn Hisham). Dozens of Muslims profited by his advice, though not all. These secret flights led to further persecution of those who remained behind. A harmonious equilibrium between the temporal and the spiritual (the body and the soul), permitting a full enjoyment of all the good that God has created, (Quran 7:32), enjoining at the same time on everybody duties towards God, such as worship, fasting, charity, etc. Islam was to be the religion of the masses and not merely of the elect. A universality of the call - all the believers becoming brothers and equals without any distinction of class or race or tongue. The only superiority which it recognizes is a personal one, based on the greater fear of God and greater piety (Quran 49:13). When a large number of the Meccan Muslims migrated to Abyssinia, the leaders of paganism sent an ultimatum to the tribe of the Prophet, demanding that he should be excommunicated and outlawed and delivered to the pagans for being put to death. Every member of the tribe, Muslim and non-Muslim rejected the demand. (cf. Ibn Hisham). Thereupon the city decided on a complete boycott of the tribe: Nobody was to talk to them or have commercial or matrimonial relations with them. The group of Arab tribes called Ahabish, inhabiting the suburbs, who were allies of the Meccans, also joined in the boycott, causing stark misery among the innocent victims consisting of children, men and women, the old and the sick and the feeble. Some of them succumbed yet nobody would hand over the Prophet to his persecutors. An uncle of the Prophet, Abu Lahab, however left his tribesmen and participated in the boycott along with the pagans. After three dire years, during which the victims were obliged to devour even crushed hides, four or five non-Muslims, more humane than the rest and belonging to different clans proclaimed publicly their denunciation of the unjust boycott. At the same time, the document promulgating the pact of boycott which had been hung in the temple, was found, as Muhammad had predicted, eaten by white ants, that spared nothing but the words God and Muhammad. The boycott was lifted, yet owing to the privations that were undergone the wife and Abu Talib, the chief of the tribe and uncle of the Prophet died soon after. Another uncle of the Prophet, Abu-Lahab, who was an inveterate enemy of Islam, now succeeded to the headship of the tribe. (cf. lbn Hisham, Sirah). It was at this time that the Prophet Muhammad was granted the mi'raj (ascension): He saw in a vision that he was received on heaven by God, and was witness of the marvels of the celestial regions. Returning, he brought for his community, as a Divine gift, the [ritual prayer of Islam, the salaat], which constitutes a sort of communion between man and God. It may be recalled that in the last part of Muslim service of worship, the faithful employ as a symbol of their being in the very presence of God, not concrete objects as others do at the time of communion, but the very words of greeting exchanged between the Prophet Muhammad and God on the occasion of the formers mi'raj: "The blessed and pure greetings for God! - Peace be with thee, O Prophet, as well as the mercy and blessing of God! - Peace be with us and with all the [righteous] servants of God!" The Christian term "communion" implies participation in the Divinity. Finding it pretentious, Muslims use the term "ascension" towards God and reception in His presence, God remaining God and man remaining man and no confusion between the twain. The news of this celestial meeting led to an increase in the hostility of the pagans of Mecca; and the Prophet was obliged to quit his native town in search of an asylum elsewhere. He went to his maternal uncles in Ta'if, but returned immediately to Mecca, as the wicked people of that town chased the Prophet out of their city by pelting stones on him and wounding him. The annual pilgrimage of the Ka'bah brought to Mecca people from all parts of Arabia. The Prophet Muhammad tried to persuade one tribe after another to afford him shelter and allow him to carry on his mission of reform. The contingents of fifteen tribes, whom he approached in succession, refused to do so more or less brutally, but he did not despair. Finally he met half a dozen inhabitants of Madinah who being neighbor of the Jews and the Christians, had some notion of prophets and Divine messages. They knew also that these "people of the Books" were awaiting the arrival of a prophet - a last comforter. So these Madinans decided not to lose the opportunity of obtaining an advance over others, and forthwith embraced Islam, promising further to provide additional adherents and necessary help from Madinah. The following year a dozen new Madinans took the oath of allegiance to him and requested him to provide with a missionary teacher. The work of the missionary, Mus'ab, proved very successful and he led a contingent of seventy-three new converts to Mecca, at the time of the pilgrimage. These invited the Prophet and his Meccan companions to migrate to their town, and promised to shelter the Prophet and to treat him and his companions as their own kith and kin. Secretly and in small groups, the greater part of the Muslims emigrated to Madinah. Upon this the pagans of Mecca not only confiscated the property of the evacuees, but devised a plot to assassinate the Prophet. It became now impossible for him to remain at home. It is worthy of mention, that in spite of their hostility to his mission, the pagans had unbounded confidence in his probity, so much so that many of them used to deposit their savings with him. The Prophet Muhammad now entrusted all these deposits to 'Ali, a cousin of his, with instructions to return in due course to the rightful owners. He then left the town secretly in the company of his faithful friend, Abu-Bakr. After several adventures, they succeeded in reaching Madinah in safety. This happened in 622, whence starts the Hijrah calendar. For the better rehabilitation of the displaced immigrants, the Prophet created a fraternization between them and an equal number of well-to-do Madinans. The families of each pair of the contractual brothers worked together to earn their livelihood, and aided one another in the business of life. Further he thought that the development of the man as a whole would be better achieved if he coordinated religion and politics as two constituent parts of one whole. To this end he invited the representatives of the Muslims as well as the non-Muslim inhabitants of the region: Arabs, Jews, Christians and others, and suggested the establishment of a City-State in Madinah. With their assent, he endowed the city with a written constitution - the first of its kind in the world - in which he defined the duties and rights both of the citizens and the head of the State - the Prophet Muhammad was unanimously hailed as such - and abolished the customary private justice. The administration of justice became henceforward the concern of the central organization of the community of the citizens. The document laid down principles of defense and foreign policy: it organized a system of social insurance, called ma'aqil, in cases of too heavy obligations. It recognized that the Prophet Muhammad would have the final word in all differences, and that there was no limit to his power of legislation. It recognized also explicitly liberty of religion, particularly for the Jews, to whom the constitutional act afforded equality with Muslims in all that concerned life in this world (cf. infra n. 303). Muhammad journeyed several times with a view to win the neighboring tribes and to conclude with them treaties of alliance and mutual help. With their help, he decided to bring to bear economic pressure on the Meccan pagans, who had confiscated the property of the Muslim evacuees and also caused innumerable damage. Obstruction in the way of the Meccan caravans and their passage through the Madinan region exasperated the pagans, and a bloody struggle ensued. In the concern for the material interests of the community, the spiritual aspect was never neglected. Hardly a year had passed after the migration to Madinah, when the most rigorous of spiritual disciplines, the fasting for the whole month of Ramadan every year, was imposed on every adult Muslim, man and woman. Not content with the expulsion of the Muslim compatriots, the Meccans sent an ultimatum to the Madinans, demanding the surrender or at least the expulsion of Muhammad and his companions but evidently all such efforts proved in vain. A few months later, in the year 2 A. H., they sent a powerful army against the Prophet, who opposed them at Badr; and the pagans thrice as numerous as the Muslims, were routed. After a year of preparation, the Meccans again invaded Madinah to avenge the defeat of Badr. They were now four times as numerous as the Muslims. After a bloody encounter at Uhud, the enemy retired, the issue being indecisive. The mercenaries in the Meccan army did not want to take too much risk, or endanger their safety. In the meanwhile the Jewish citizens of Madinah began to foment trouble. About the time of the victory of Badr, one of their leaders, Ka'b ibn al-Ashraf, proceeded to Mecca to give assurance of his alliance with the pagans, and to incite them to a war of revenge. After the battle of Uhud, the tribe of the same chieftain plotted to assassinate the Prophet by throwing on him a mill-stone from above a tower, when he had gone to visit their locality. In spite of all this, the only demand the Prophet made of the men of this tribe was to quit the Madinan region, taking with them all their properties, after selling their immovable items and recovering their debts from the Muslims. The clemency thus extended had an effect contrary to what was hoped. The exiled not only contacted the Meccans, but also the tribes of the North, South and East of Madinah, mobilized military aid, and planned from Khaibar an invasion of Madinah, with forces four times more numerous than those employed at Uhud. The Muslims prepared for a siege, and dug a ditch to defend themselves against this hardest of all trials. Although the defection of the Jews still remaining inside Madinah at a later stage upset all strategy, yet with a sagacious diplomacy, the Prophet succeeded in breaking up the alliance, and the different enemy groups retired one after the other. Alcoholic drinks, gambling and games of chance were at this time declared forbidden for the Muslims. The Prophet tried once more to reconcile the Meccans and proceeded to Mecca. The barring of the route of their Northern caravans had ruined their economy. The Prophet promised them transit security, extradition of their fugitives and the fulfillment of every condition they desired, agreeing even to return to Madinah without accomplishing the pilgrimage of the Ka'bah. Thereupon the two contracting parties promised at Hudaibiyah in the suburbs of Mecca, not only the maintenance of peace, but also the observance of neutrality in their conflicts with third parties. Profiting by the peace, the Prophet launched an intensive program for the propagation of his religion. He addressed missionary letters to the foreign rulers of Byzantium, Iran, Abyssinia and other lands. The Byzantine autocrat priest - Daughter of the Arabs - embraced Islam, but for this, was lynched by the Christian mob; the prefect of Ma'an (Palestine) suffered the same fate, and was decapitated and crucified by order of the emperor. A Muslim ambassador was assassinated in Syria-Palestine; and instead of punishing the culprit, the emperor Heraclius rushed with his armies to protect him against the punitive expedition sent by the Prophet (battle of Mu'tah). The pagans of Mecca hoping to profit by the Muslim difficulties, violated the terms of their treaty. Upon this, the Prophet himself led an army, ten thousand strong, and surprised Mecca which he occupied in a bloodless manner. As a benevolent conqueror, he caused the vanquished people to assemble, reminded them of their ill deeds, their religious persecution, unjust confiscation of the evacuee property, ceaseless invasions and senseless hostilities for twenty years continuously. He asked them: "Now what do you expect of me?" When everybody lowered his head with shame, the Prophet proclaimed: "May God pardon you; go in peace; there shall be no responsibility on you today; you are free!" He even renounced the claim for the Muslim property confiscated by the pagans. This produced a great psychological change of hearts instantaneously. When a Meccan chief advanced with a fulsome heart towards the Prophet, after hearing this general amnesty, in order to declare his acceptance of Islam, the Prophet told him: "And in my turn, I appoint you the governor of Mecca!" Without leaving a single soldier in the conquered city, the Prophet retired to Madinah. The Islamization of Mecca, which was accomplished in a few hours, was complete. Immediately after the occupation of Mecca, the city of Ta'if mobilized to fight against the Prophet. With some difficulty the enemy was dispersed in the valley of Hunain, but the Muslims preferred to raise the siege of nearby Ta'if and use pacific means to break the resistance of this region. Less than a year later, a delegation from Ta'if came to Madinah offering submission. But it requested exemption from prayer, taxes and military service, and the continuance of the liberty to adultery and fornication and alcoholic drinks. It demanded even the conservation of the temple of the idol al-Lat at Ta'if. But Islam was not a materialist immoral movement; and soon the delegation itself felt ashamed of its demands regarding prayer, adultery and wine. The Prophet consented to concede exemption from payment of taxes and rendering of military service; and added: You need not demolish the temple with your own hands: we shall send agents from here to do the job, and if there should be any consequences, which you are afraid of on account of your superstitions, it will be they who would suffer. This act of the Prophet shows what concessions could be given to new converts. The conversion of the Ta'ifites was so whole hearted that in a short while, they themselves renounced the contracted exemptions, and we find the Prophet nominating a tax collector in their locality as in other Islamic regions. In all these "wars," extending over a period of ten years, the non-Muslims lost on the battlefield only about 250 persons killed, and the Muslim losses were even less. With these few incisions, the whole continent of Arabia. with its million and more of square miles, was cured of the abscess of anarchy and immorality. 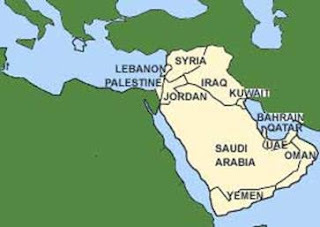 During these ten years of disinterested struggle, all the peoples of the Arabian Peninsula and the southern regions of Iraq and Palestine had voluntarily embraced Islam. Some Christian, Jewish and Parsi groups remained attached to their creeds, and they were granted liberty of conscience as well as judicial and juridical autonomy. In the year 10 H., when the Prophet went to Mecca for Hajj (pilgrimage), he met 140,000 Muslims there, who had come from different parts of Arabia to fulfill their religious obligation. He addressed to them his celebrated sermon, in which he gave a resume of his teachings: "Belief in One God without images or symbols, equality of all the Believers without distinction of race or class, the superiority of individuals being based solely on piety; sanctity of life, property and honor; abolition of interest, and of vendettas and private justice; better treatment of women; obligatory inheritance and distribution of the property of deceased persons among near relatives of both sexes, and removal of the possibility of the accumulation of wealth in the hands of the few." The Quran and the conduct of the Prophet were to serve as the bases of law and a healthy criterion in every aspect of human life. On his return to Madinah, he fell ill; and a few weeks later, when he breathed his last, he had the satisfaction that he had well accomplished the task which he had undertaken - to preach to the world the Divine message. He bequeathed to posterity, a religion of pure monotheism; he created a well-disciplined State out of the existent chaos and gave peace in place of the war of everybody against everybody else; he established a harmonious equilibrium between the spiritual and the temporal, between the mosque and the citadel; he left a new system of law, which dispensed impartial justice, in which even the head of the State was as much a subject to it as any commoner, and in which religious tolerance was so great that non-Muslim inhabitants of Muslim countries equally enjoyed complete juridical, judicial and cultural autonomy. In the matter of the revenues of the State, the Quran fixed the principles of budgeting, and paid more thought to the poor than to anybody else. The revenues were declared to be in no wise the private property of the head of the State. Above all, the Prophet Muhammad set a noble example and fully practiced all that he taught to others. “O People! Listen to me. I do not think that after this year, you and I shall even meet in this place. Remember, there is none worthy of being worshipped except Allah; He is one, He has no partner, the sovereignty belongs to Him. All praise is due to Him, He is the giver of life and death, and has power over all things. “O People! From now onwards your blood and your properties are as safe as this city (Mecca) and this month (Zul Hijjah = 12th Month of Islamic Calender). “Remember! You shall have to meet your Lord very soon; then He will question you about your deeds. I have conveyed His Message to you. He who is entrusted with property belonging to another shall deliver his trust to the person to whom it belongs. All transactions involving usury are forbidden; your capital is yours. Do not do injustice to others nor let injustice be done to you. “It has been ordained by Allah that all usury is forbidden. To start with I give up the usury that is due to my relations. And all interest by debtors to Abbas, my uncle, son of Abd al‑Muttalib is given up. “Compensation for bloodshed committed during the days of ignorance is canceled. On my part, I give up my claim for compensation, i.e. the claim for compensation for the life of the son Rabia Bin Harith is canceled. “O People ! Satan, (the evil one) has despaired of being followed in your land; but he will be followed in other lands. Therefore, you be careful of your faith, lest the people of other lands obliterate your good deeds. “O People ! The postponement of the sacred month (Zul Hijjah) is an addition of the days of disbelief; those who choose disbelief stay on the wrong path; they make it sacred in one year and non-sacred in another in order to make up the number of sacred months fixed by Allah, so that they make non-sacred what Allah has made sacred. And time revolves as it has been shaped since the day heavens and earth were created by Him. The number of months with Allah are twelve and four are sacred ‑ three consecutive months, i.e. Shawwal, Zul Qa‘dah, and Zul Hijjah, and Rajab between Jamada al-Awwal and Sha‘baan. “O People! Fear Allah and carry out his injunctions about women; you have got them unto you as a sacred trust from Allah, and He has made them lawful for you by His word. You have got your rights over your wives and they have theirs over you. Your rights over them are that they should observe chastity and avoid immorality. If, however, they go astray, you may keep them off and you are allowed to punish them without causing injury. But if they repent you may forgive them. Then their rights over you are that you should feed them and clothe them with fairness. “And advise men to treat their womenfolk fairly for they have been given in your charge. “O People! Note well what I have said, I have conveyed my message to you, I have left with you the Book of Allah (the Holy Quran) and my Sunnah. If you adopt these and act up to them you shall never go astray. “O People! Listen to my message and understand it well. There is no superiority for Arabs over non‑Arabs and for non‑Arabs over Arabs, for you are all children of Adam and Adam was created out of clay. You have been taught that each Muslim is a brother of every other Muslim and that Muslims are one brotherhood. It is not lawful for any man to appropriate for himself anything which belongs to his brother except with the latter's own free will and consent. Therefore, do not be unjust to one another. “O People ! There is no prophet after me. There is no new religious community after you. You shall have to serve your Lord (Allah), perform prayers five times a day, fast in the month of Ramazan; pay zakaat (compulsory tax for charitable purposes on your properties), perform Hajj to the sacred house of Allah in Makkah and obey your religious and temporal leader. Even if a black man from amongst the salves is chosen your leader and if he rules over you according to the Book of Allah, follow him and obey him. As a reward for these from Allah you will enter Paradise. “Let all those who are now present carry this message to those who are absent. “O Allah Be Thou the witness. I have delivered my message to mankind”.